Welcome, Bob Davidson of Ambient Sensors! One of their current project is a concussion detector built in to the chin strap of football helmets. This involves testing with a “head banger” that can impart forces up to 150G’s! They use a MEMS accelerometer and a low cost microprocessor, in order to try and make it affordable for high schools. The processor can assess the likelihood of the impact meeting the head injury criterion. Bob got his PhD at Carnegie Mellon University in Pittsburgh and did his undergrad at Johns Hopkins University (in xray astronomy!). A full listing of Bob’s past work can be found on the About page of the Ambient Sensors site. He is also now an adjunct professor at Boise State University, teaching engineering stats, finite element analysis and electromagnetics. For a good portion of his career so far, Bob worked in research at HP in the hard disk division. In the early days the plattens were spun using washing machine motors! They weren’t cheap either, 400 MB for $25K! Early boards were done using tape on paper, so he is amazed at the ability to make boards these days (using tools like EAGLE). Some of the ones he has been making have Bluetooth Low Energy. Modules such as the Bluegiga BLE112 prevent needing to get a product recertified for FCC compliance. Jeff Rowberg has been really helpful in getting Bob started. These modules can act as a serial peripheral or can act as a standalone using BG Script. Bob’s startup in the early 2000’s was a consumer product for high end entertainment. They pivoted to working with security cameras. During Clayton Christiansen‘s PhD work which later became, “The Innovator’s Dilemma”, Clayton shadowed Bob. The march of progress in disk drives was one of the main topics in that book. Bob was an early user of ARPAnet, the precursor to the modern internet. He was upset when they started commercializing it. For low cost test equipment, Dave’s comparison video of the new and old Rigol scope has Bob tempted. Bob is a fan of OSHW and has attended the Open Hardware Summit in the past. This coming year it will be in Boston. Some of his projects to give back to the community involve energy harvesting. This was implemented in a project monitoring a grape vineyard. Back in Vietnam days, Bob was a member of the Military Auxiliary Radio Program, helping patch soldiers back to loved ones at home. Thanks again to Bob for being on the show! We’re excited to see what he works on next! I enjoyed the show today. It’s amazing how much Bob and I have in common (ham radio, high school jobs in a TV repair shop, work in the hard disk industry, etc.). Even more than your career Alan, Bob’s really mirrored mine except I was at IBM while he was at HP. 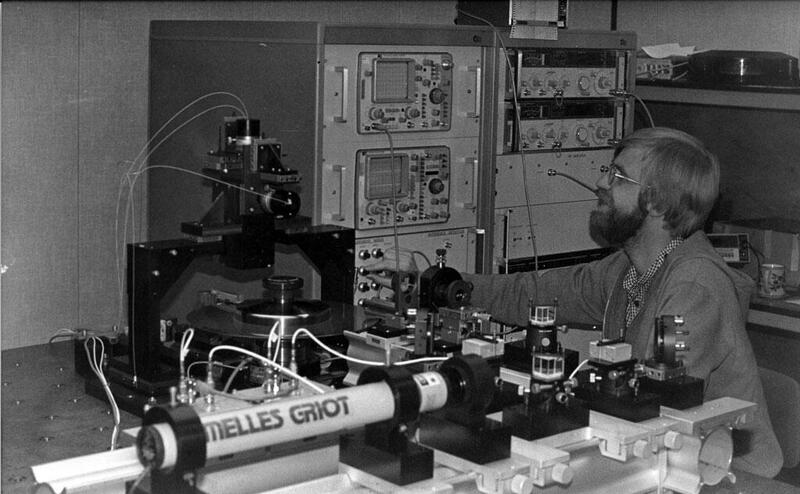 My other job offer was at HP Palo Alto while Bob was working there (graduated in ’81) working on test equipment – apparently what would someday become Agilent. The IBM offer was too tempting because I was going to be working on cutting edge mainframes that sold for millions. In some ways, I would have rather worked on the test equipment, hi, hi. I think this was one of the funniest shows I’ve ever heard on TAH. This ambientsensors link doesn’t work for me. http://ambientsensors.com doesn’t work (there is no DNS entry for it, but some web browsers will shove the www. in front to fix the problem for you). Fixed, thanks! I’ll tell Bob to put in a mod_rewrite and a DNS entry too.